If there is one parable in the Bible which depicts my own life story, that I think is the story of the lost son in Luke 15:11- 32. Back when I was still in high school, I have my own share of flaws as a son--- a perfect picture of a rebellious young soul. In fact, I had my first year in high school for three years due to my absences and attitude in school. I was the teachers’ enemy #1. After these three years, I decided to stop from school. I learned about the different faces of life at a very young age. I started a small motor repair shop to support my needs. Life gets more demanding--- I need something more no matter how contented I am with the small earnings that I have. That time, I realized about going back to school. I talked to my mother and told her about my plan, who without any hesitation gave me her support. I went back to school that summer time and fortunately, I got good remarks from my teachers. This got me even more motivated. I continued my studies the following school year and despite the judgments I receive from other people, especially from my previous teachers, I was never stopped from achieving my goals. My studies became my priority and my hardwork paid off as I finished second year high school with flying colors. As I continue in school, I have learned the importance of education. I turned nights into days to finish my school requirements. The joy of receiving good remarks got me even more engaged in school that I started to excel not just in my academics, but even in extracurricular activities. I finished high school when I was 21. I might have unlocked this goal quite late based on the standards of the society, but I don’t mind. The following school year, I enrolled in an automotive course in a vocational school in the nearby town. After one year, I have finally realized what I wanted to do. I tried my luck in a Japanese School which offers trainings and deployment abroad. I was so decided to apply for the program, but I guess it was not just my time yet as I failed the medical examination. I was so upset but then I kept in my mind that maybe God has bigger plans for me. That was when I knew Don Bosco from a friend who was enrolled there then. He encouraged me to enrol and fortunately, I got admitted. Not later after graduation, a cousin who works in a shipping agency in Greece. 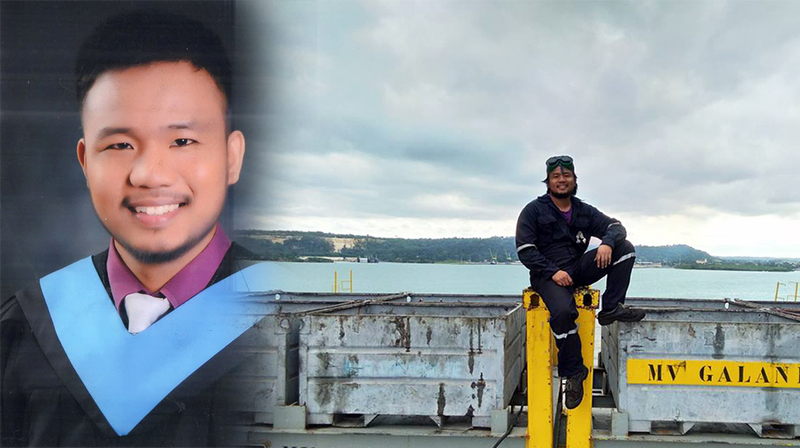 March 2016 until now, I am working in this shipping company and little by little, I have already established a living for my family. Who would have thought that I, the troubled young man that I used to be will be able to achieve this? I have been lost for quite some time but I have found the way--- although most of the time, I know it was He, who led me to my way home. With all these experiences, I have come to realize that hardships and failures should never let us down because at the end of the journey, these stumbling blocks will eventually serve as our stepping stones to the ladder of success. However, these will never be possible without His mercy and compassion for He sees even the innermost part of our hearts. No matter how troubled we used to be, if the desire to change still lingers in our hearts, success is attainable.